Pittsburgh Magazine (October 2016) There are about 100 Nubian and Alpine goats roaming the 130-acre Goat Rodeo Farm & Dairy in Allison Park. 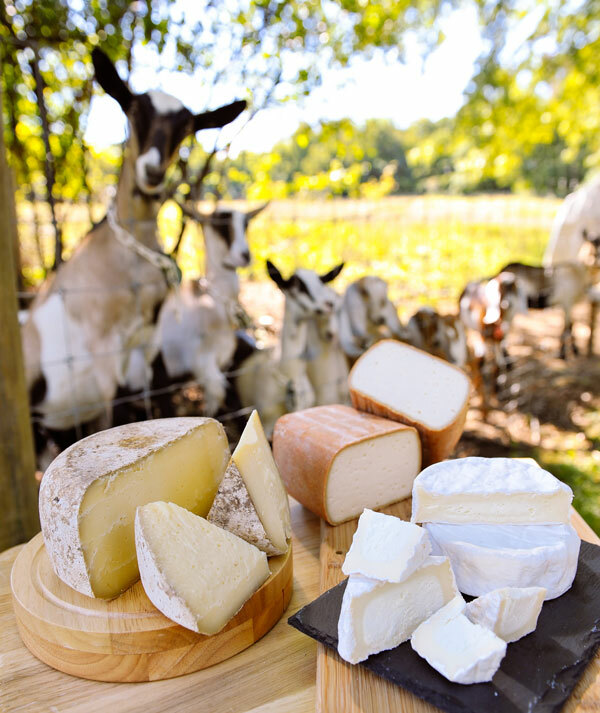 Those goats produce milk that is the bedrock of some of Pittsburgh’s tastiest locally produced cheese. In the past year, several cheeses crafted by owner India Loevner and her team have become popular fixtures at restaurants such as Cure, The Allegheny Wine Mixer, Casbah and Thin Man Sandwich Shop; they also can be purchased at the East End Co-op, select Market District stores and a handful of other locations. The dairy sells six varieties, including a creamy, fresh chevre, “Chickabiddy,” a bloomy, mushroomy cheese, and “Bamboozle,” a semi-soft cheese that’s been washed with Roundabout Brewery beer. 315 Shaffer Run Road, Allison Park; 412/406-7336, goatrodeocheese.com Read the full story here.